" The Common Core State Standards goals include preparing students for college, career, and civic readiness. Character development and social-emotional skills are the critical foundation students need to meet those goals." The Common Core State Standards is a challenging set content specific expectations and practice standards that increase rigor, relevance, and focus on acquisition of 21st century global skills students need for success in a global economy and world. Ironically, the Standards do not identify the dispositions, qualities of character and social-emotional learning skills required of students for success within this rigorous set of standards. Schools must identify and explicitly teach the knowledge, skills, and dispositions necessary for students to achieve success in a post-secondary setting. The Common Core State Standards goals include preparing students for college, career, and civic readiness. Character development and social-emotional skills are the critical foundation students need to meet those goals. The Common Core State Standards acknowledges that it does not explicitly identify the multi-tiered supports, programs, and curriculum schools must implement for student growth and success, but does acknowledge that schools must make local decisions to support these goals. This project, entitled, "Can character education increase successful implementation of the Common Core State Standards for Mathematics," is aimed at identifying those supports, programs, and curriculum schools can use to develop student social-emotional learning skills within the framework of educating to the standards. This 24 page document is aimed at highlighting the importance of character strengths in learning mathematics. Research support from a wide range of fields -economics, psychology, philosophy, neuroscience, and education - undergirds the notion that strengths or virtues such as diligence, persistence, confidence and future-mindedness are likely just as important as academic content knowledge or raw cognitive ability. This paper presents the argument that, while the Common Core State Standards-Mathematics (CCSS-M) are not a call for comprehensive character education, they explicitly and readily acknowledge that students need to develop the “habits and skills,” or the character strengths necessary, for higher-order math learning. This 78 page document is aimed at the application of a rationale for integrating the Common Core State Standards (or any set of standards for teaching and learning Mathematics) with character education in K-8 classrooms. This exploration will demonstrate how to best use character education principles, strategies, tools and resources to help schools fulfill the CCSS-M vision of mathematical proficiency for all students. Linking math education and character education provides a vivid vehicle for character building, and an opportunity for character education, in particular, performance character, to contribute to academic rigor and relevance. This 23 page document is aimed at the proposition that character education is the lens through which a renewed examination of teaching and learning mathematics can result in optimum results for both. The national standards, represented here by the Common Core State Standards in Mathematics, are the latest attempt at energizing and elevating the flagging interest and achievement in mathematics in the US. When implemented with fidelity, the CCSS-M will require shifts in both teaching and learning of mathematics. Specific emphasis on a classroom atmosphere of collective inquiry where exploration and experimentation is encouraged and nurtured will increase engagement, enjoyment, and achievement in mathematics. You Can't Teach Through a Rat. 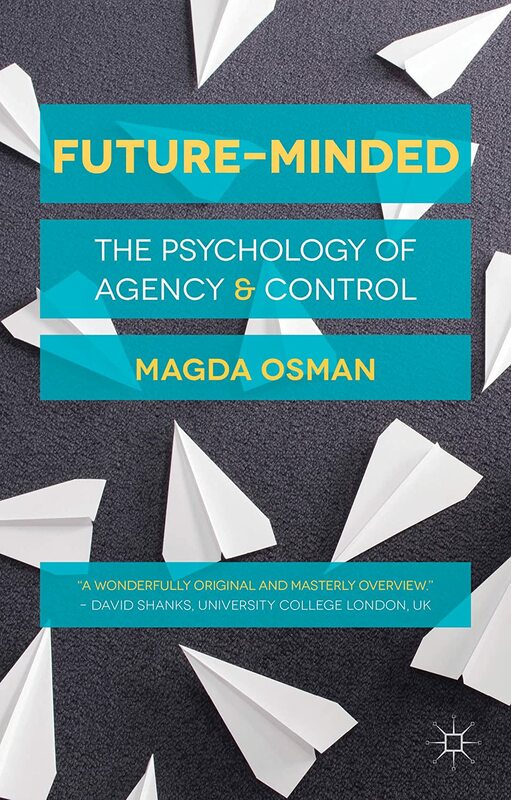 Future-Mindedexplores the psychological processes of agency and control. If you've ever wondered why we think of coincidences as matters of fate rather than the result of the laws of probability, this book provides the answer. From memory and reasoning to our experiences of causality and consciousness, it unpicks the mechanisms we use on a daily basis to help us predict, plan for and attempt to control the future. In Lost in Transition, Christian Smith and his collaborators draw on 230 in-depth interviews with a broad cross-section of emerging adults (ages 18-23) to investigate the difficulties young people face today, the underlying causes of those difficulties, and the consequences both for individuals and for American society as a whole.